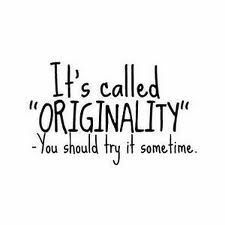 If one person begins to copy the way another person dresses, speaks, or even lives their life, it can be seen as a form of flattery. While it is somewhat annoying (and mildly creepy), it is a testament that what is being copied is a matter of wanting. The copier is wanting to be seen in the same light as the originator. They want to garner the same "cool" persona, that same popularity, and will therefore do whatever it takes to accomplish the feat. The want can be so great that someone may go to such great extremes that "mildly creepy" turns into "contemplating getting an order of protection." 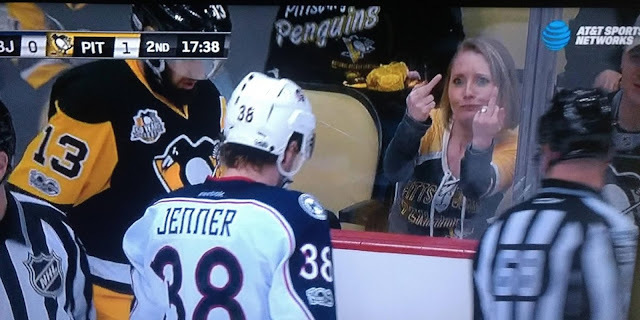 This spirited Pittsburgh Penguins' fan was touted as being "classless" by CBJ fans after this picture of "Flip Girl" surfaced after the Penguins' final regular season meeting with the Columbus Blue Jackets on Tuesday April 4. 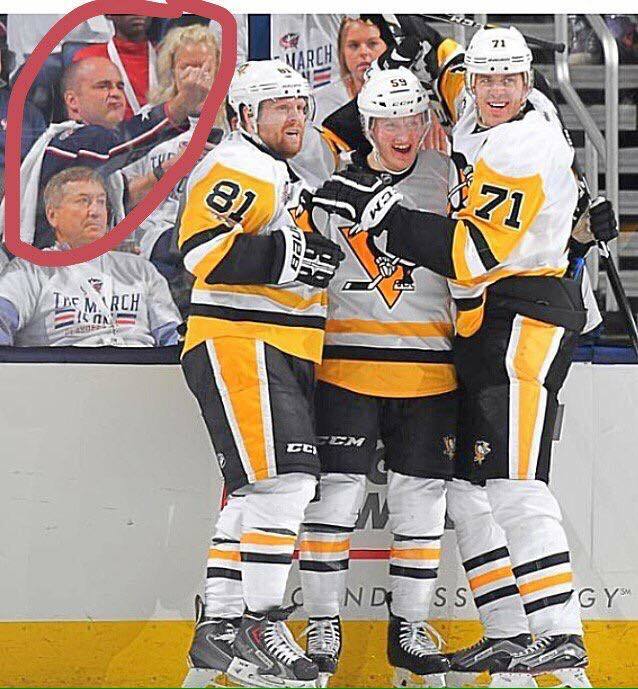 Even some Pens faithful voiced displeasure at the image and were not able to find the humor in the situation. I will let the readers and fans raise their own conclusions as to the level of this mans class, but it seems "Flipper Man" would now like the spotlight. The spotlight is yours to take sir, however, your attempt at imitation falls a little flat on the sassiness scale in this writers humble opinion.